Ayodele (Ayo) is a curious little boy growing up in a multicultural family. When Ayo helps his Mama and Daddy around the house, he gains way more than he bargained for and learns a lasting lesson about money management. Ayo’s Money Jar is the first book in our series for children ages 2-6 called $mart¢hoiceNation (SCN) Kids. 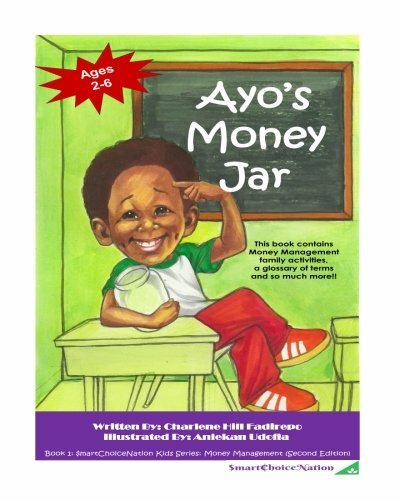 This is the second edition of the Ayo’s Money Jar book. This edition features beautiful original artwork from Nigerian visual artist and painter, Aniekan Udofia. This version of the book also explores the multicultural heritage of the book’s main character, Ayo.